All British Casino is an online casino including mobile and live dealer games, established in 2012 using games powered by multiple software providers. It is operated by L&L Europe Ltd and is licensed under the jurisdictions of Curacao, Malta and United Kingdom. 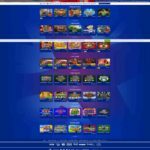 The All British Casino is an online gaming portal whose aim is to offer online players a wide array of games titles and in an easy-to-use iGaming interface. This casino has been on the scene since mid-2012, and its operators have sought to provide a very British service both to the British public and other gaming enthusiasts form all over the world. Powered by Amatic Industries, NetEnt Gaming, the casino hosts a variety of beautifully designed games alongside the strong patriotic theme that features British flag colors throughout the site. It also hosts a live casino which streams real-time games beamed all the way from the luxurious Portomaso Casino located in Malta. Licensed by the gambling jurisdiction of Curacao, Malta and the UK’s Gambling Commission, this casino welcomes players from all over the world with the exception of France, Spain, Italy, Estonia and the US. In addition to the quintessential color scheme, this casino has introduced images synonymous with Great Britain like Big Ben, tube station signs, and much more. The casino site’s background is a vignette royal blue. Navigating the site is simply a breeze as all tabs are clearly visible. Additionally, there are a number of handy notes that help players get started on the action. Afghanistan, Albania, Algeria, American Samoa, Angola, Australia, Cambodia, Ecuador, Estonia, Guam, Guyana, Hong Kong SAR China, Indonesia, Iran, Iraq, Italy, Israel, Kuwait, Laos, Latvia, Myanmar [Burma], Namibia, Nicaragua, North Korea, Pakistan, Panama, Panama Canal Zone, Papua New Guinea, Philippines, Romania, Russia, Singapore, South Africa, South Korea, Spain, Sudan, Syria, Taiwan, Turkey, U.S. Minor Outlying Islands, U.S. Miscellaneous Pacific Islands, U.S. Virgin Islands, Uganda, United States, Yemen, Zimbabwe. The All British Casino offers its online players a raft of bonuses, promotions and other incentives. But these bonuses may only be claimed by British citizens, which mean players who aren’t resident in Britain cannot claim any of the bonuses on offer or even free spins. Upon sign up, new players automatically qualify for 100% bonus up to 100% bonus + 10% Cashback always. Min. deposit is £20 – No max cashout – Wagering is 35x bonus – Maximum bet while playing with a bonus is £5 – Cashback is cash with no restriction. The casino also hosts a range of regular weekly free spins as well as regular bonus promotions for all players. Naturally, players who are not interested in the welcome bonus for whatever reason are free to decline it. Players who wish to view the latest promotions can check the “News and Promotions” tab on this casino’s website. Here, players will find exciting offers like the All British Weekend that comes with a 25% reload bonus, the Midweek Madness promotion that comes with 10 free spins on Spiñata Grande, plus details concerning every new game launching in addition to upcoming player bonuses. To make sure that the casino site is accessible enough, it has also been availed in an efficient and simple mobile format. Not all games found on the desktop site are offered on the mobile site but players will find a wide selection of the more popular ones which can be played on smartphones and tablets. The mobile site is compatible with Android and iOS devices. Because the All British Casino is committed to delivering the best, quality games and gaming experience are quite important even for their mobile platform. As such, if the casino is unable to guarantee a great experience for its players, it won’t add games to the mobile platform. The All British Casino is powered by gaming software from renowned developers, Net Entertainment, whose games come with state of the art graphics. Gems from NetEnt are to be found in over 300 online casinos so players are certainly assured they are dealing with a respectable gaming giant. This software has been audited thoroughly over the years and it has been ruled to be genuinely random. Players don’t need to download any software since all the games can be accessed via any web browser. Players may also access the mobile casino straight on their mobile devices using existing player accounts details. This casino employs the full range of security technology in order to protect its players. The first is SSL encryption which is designed to prevent 3rd parties from accessing players’ sensitive information on the online casino network. Moreover, enterprise-level firewall protection as well as other protective measures and systems have been put in place. These safety measures are the same which are used by most commercial banks, which means players are assured that the casino will take good care of their personal and financial data. Players with an account here have access to the entire selection of NetEnt slots. This software platform has quickly become among the more popular ones on the internet, with such exceptional video slots like Muse, Boom Brothers, Fisticuffs, Gonzo’s Quest and Jack Hammer 2. The platform additionally offers players traditional 3-reel slots as well as progressive slots like the famous Mega Fortune. For players interested in virtual table games, the casino has plenty to choose from and they include various types of roulette, blackjack as well as baccarat [also known as puntobanco]. There’s also Caribbean Stud Poker, Casino Hold’em Poker plus other titles like Red Dog. This casino has four video poker variants: All-American Multi Hand Joker, Wild Multi Hand, Deuces Wild Multi Hand and Jacks or Better Multi Hand. For the live casino, all games are broadcast from Portomaso Casino, the upscale brick and mortar casino located on the island of Malta. In the Live Casino section, players have a choice of blackjack or roulette. All these games employ standard European rules and are availed to any manner of online casino player. Because customer satisfaction is their number one priority, service support representatives at the All British Casino are on call 24/7 to assist players in case of any problems as well as answer any questions. This support team is always ready to assist players in the best possible way. Players may access Live Chat support directly via the casino web portal. Customer support reps may also be reached through a UK phone number that is listed on the casino’s support tab. Should support services be offline, players may leave a message by filling a contact form and they are assured of getting a reply via email by the following day.